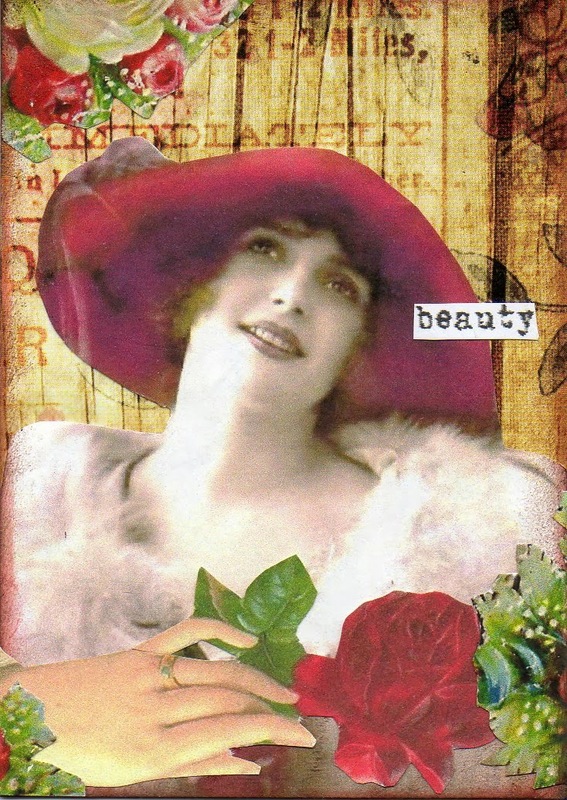 My Vintage Red challenge is warming up the cold days for me, with all the gorgeous shades of red, and taking us from Valentine's Day right into Spring just I had hoped! I know it's not Spring for awhile yet, but all these pretty flowers and cheerful birds have me dreaming. Here are more beautiful pieces by the Lunagirl Moonbeams Design Team to inspire your own dreamin' and schemin'. 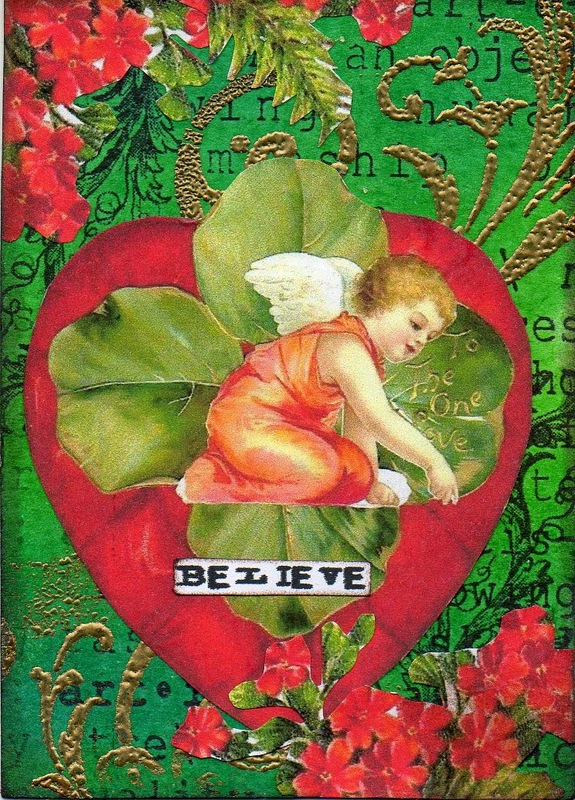 Remember to link up your own Vintage Red project (any medium) for a chance to win $10 credit at Lunagirl.com in the drawing on Sunday! I can't wait to see more beautiful red. 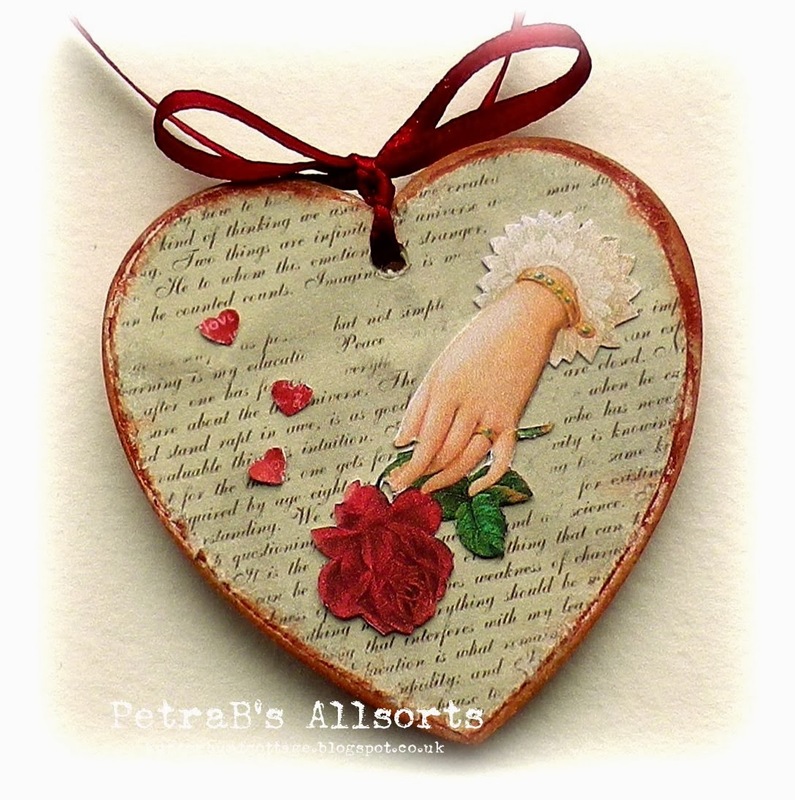 My second project is a little wooden heart which I altered with paint and lots of sanding and a wonderful image from your Red collage sheet. 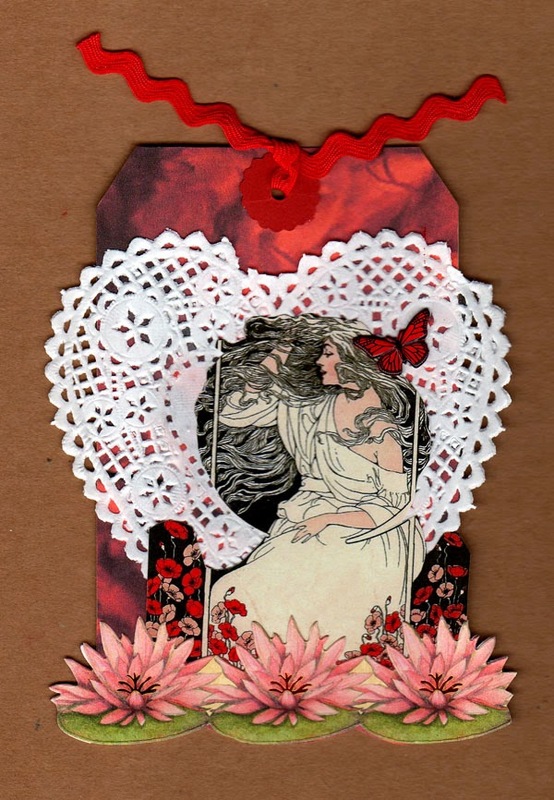 Two ATCs by MANDY CHILVERS using "Red" images. Wow...beautiful design team makes. Great work ladies!